After reading raving reviews by friends on Facebook and some critical ones in newspapers, I finally saw Alia Bhatt and Shah Rukh Khan starring Dear Zindagi. 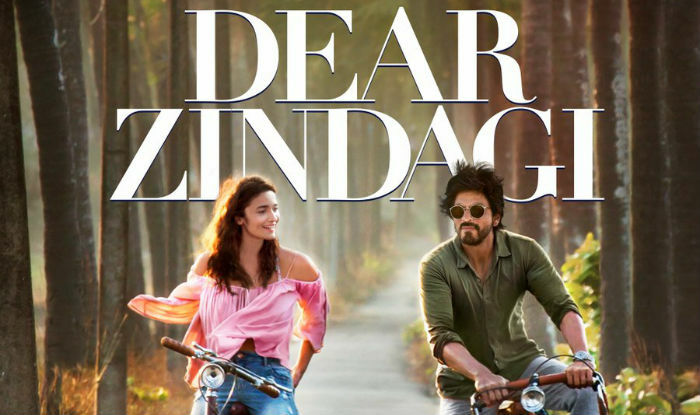 In the movie, Shah Rukh plays a psychologist aka dimaag ka doctor who guides Alia’s character to overcome her fears by sharing life lessons and soul-searching. When someone comes out of the theater and say that they loved the movie, in most cases the reason would be that they relate to it. It was the same for me. Not that I related to the specific fears and life situations of Alia, but I identified myself with the process of working with a professional to overcome a limiting mindset and finding my way through challenging life situations. In the last 5 years, I have had the good fortune of having access to 3 professionals aka dimaag ke doctors at different stages of my life’s journey. After two months of my cervical spinal cord injury (SCI) and shifting three hospitals in Nagpur, I went for rehabilitative treatment to the Indian Spinal Injuries Centre (ISIC) in New Delhi. Before coming to ISIC the only thing that I would hear from family and the doctors is that I will get better soon. All I could gather from their reassurances was that it was only a matter of time/ exercise and my body will be back from hibernation. Her first question was, do you know about your injury? I wondered what was there to know. Since I did not know much, she made sure my neurologist explained the situation to me before I have any sessions with her. I finally got to know the meaning and implications of my injury. A SCI means that the nerves carrying signals from our brain to different parts of the body are unable to communicate below the level of the spinal cord injury. In simple words, paralysis of the entire body below the level of the spinal cord injury. Of course, the realization was a shocker. I will never be able to use my body below my shoulders and also my wrist and fingers. I will always be dependent on someone else. My independent lifestyle will always remain a thing of the past. Life will never be the same again. All this was very clear as black and white. What has happened has happened. I don’t remember thinking of long-term implications being the reason behind my tears in the first one year. When I met Divya ma’am, it was the first time for me to talk about feelings since the accident. My biggest problem areas were; I hated that someone else has to give me a bath and I can’t wipe my own nose. It bugged me that the person giving me a bath was not doing it as I would do it. I was dependent on her to clean me up. I had to make do with someone else’s standards of a good bath or all cleaned up. On the topic of bathing, she told me to look at it as a chore that I have to go through every day in the morning. To remember that ‘this too shall pass’. She also said that eventually, I will be able to guide my helper to do things as I want them. Now, this was something I had not factored in the early days. Before hearing these words from Divya ma’am, I would mope about not having any control, living according to the whims and fancies of caretakers. Her words were assuring. Although helpful, I must admit that initially I was hesitant about opening up to a counselor. It was easier for me to open my heart to close friends. In the nine months at ISIC, I took only 4 or 5 sessions with Divya ma’am. Fast forward to 2 years, I moved to Nagpur from New Delhi. Life went on; I had joined office after three months of the accident, scaled up my work timing from a few hours to the usual 8 hours, started to travel outstation, continued working with a physiotherapist, the usual socializing with friends and family and occasional holidays. Something was still missing. Inside, I was not able to feel like my usual self from before the spinal cord injury – and I missed being that person. I missed being the same confident-self I was earlier. I missed being happy about myself. Around the same time, a very close friend and a family member sought professional help from a psychologist. Inspired by them, I decided to give it a shot as well. A Google search followed by emails and phone calls led me to Zoya. At that time she was working as a psychotherapist at Morphic Minds. In our first session, I was surprised that she did not ask me to go into history and recall everything that had happened in my life till that day. I had expected that this is how the sessions go. Zoya practices the rational emotive behavior therapy (REBT) technique to work with her clients. According to REBT, it is largely our thinking about events that leads to an emotional and behavioral upset. With an emphasis on the present, individuals are taught how to examine and challenge their unhelpful thinking which creates unhealthy emotions and self-defeating/ self-sabotaging behaviors. Okay, done with the definition now. In all our sessions, we directly dive into the thought that was troubling me the most. I started with how guilty I felt every time my mother had to do my work. This is my time to take care of her but the situation is exactly the opposite. I could see the physical pain that she had to endure when bending down to help me with my shoes and lifting means from the wheelchair to the bed. I was not able to change the situation and this was frustrating. This resulted in me being upset with myself and I was always cranky when my mother was doing my work. Tears would roll down my eyes and I had no words to express how I felt towards her. The days when my helper took an unannounced holiday were worse. Zoya asked “Are these thoughts helping you to feel better?’. My response was negative. After a lot of discussions and constantly identifying the thoughts that drove my emotions and actions, we arrived at the realization that I constantly feel bad about myself, for being in that situation. This action of feeling bad about myself was only amplifying my feeling bad about me. We always end our sessions with a thought/ sentence as the key takeaway and at times some homework. This key takeaway from the first session continues to guide me in all the situations where I start thinking of myself as a burden to my family members: “If my mother has to do something for me which troubles her. It is a little disappointing but it does not make me a bad person”. The reason I was comfortable to adopt the key takeaway was that they were not handed down to me as ‘this is how things should be/ this and how you are supposed to think’. Instead, we arrived at them during the course of our discussion and they seem to follow a logic. This was acceptable to me. Similar to most of you who are currently working, a majority of my day is also spent doing office work, even if it is from the comfort of my home. My internal turmoil was bound to affect the way I see myself at work. There were times when I would compare my current level of productivity with my work style before the accident. This sometimes led to me doubting my capabilities and not feeling confident when interacting with colleagues. The only disadvantage of working from home is that you don’t have a colleague sitting next to you the bounce off ideas and share immediate concerns. Then I came across my ex-colleague Nivedita, who now works as an Executive and Life Coach. The concept of having a coach was intriguing and I decided to explore this option. Her work with clients is from a strength-based perspective where the coachees’ strengths are harnessed to the maximum in fulfilling their potential. The basis of her approach is that through the coaching process the coachee recognizes, owns and builds on their self-belief and confidence, even while embracing deep personal/ professional change. In the last few years, I have tabled various personal and professional situations in our sessions. The only thing that matters to me is what I think of myself. This impacts how I feel, how I perform at work and how I behave and is interact with people around me. I’d rather do something and regret, then not do something and regret. I get greater energy from doing things that just mulling over them. I hate sitting on the fence. I was not thinking good about myself and the things I am doing with my existing capabilities. Coming back to the topic of work and office, I always set high standards for myself because I believe I can do it. I’m grateful for the thoughtfulness of my colleagues and lived with a constant feeling of indebtedness. Self-doubt would sometimes creep in the form of questions such as am I doing good enough? She was also the one who coached me to take on the challenge of speaking at two events within a span of 48 hours, held in two cities in the north and south of India, on two completely different topics. Details in this post below. Also read: Getting back to work after a spinal cord injury inspired by my talk at the Indian Spinal Injuries Centre. This ultimately got featured as my mini TEDx talk. For me a key life-skill that emerged is a new, empowered way of thinking- ‘I am not my thoughts and doubts’. A core thinking that taught me to question ‘why am I feeling what I’m feeling’, ‘ how is that thought helping me’ and if it’s not ‘what’s in my power to do’? I also found answers to questions like what are my drivers and motivators. The way I look at working with these dimaag ke doctors is not like some medicine/ treatment that you have to take regularly, but something as simple as choosing to refer to a dictionary. I have hugely benefited from having a bouncing board in the form of these professionals and would recommend for you also to give it a try.